BSNL TTA Exam Results 2013: Bharat Sanchar Nigam Limited (BSNL) conducted Telecom Technical Assistant (TTA) Exam on 14th July, 2013. BSNL TTA Exam conduct BSNL Telecom Cricle Wise. BSNL will be declare the Telecom Technical Assistant Exam result in coming days. BSNL has been published the answer key of Telecom Technical Assistant exam 2013 in previous days on various state / circle websites of BSNL. BSNL TTA Results 2013 Date, Results state-wise will be declared here soon. please reply vary soon because i m so excited.its declare within a week or not ? BSNL TTA result already declared in Bihar and West Bengal circle. I hope within this month all other circles will declare. GKPAPER PLEASE UPDATE THE LINKS AS RESULT OF BSNL TTA HAS DECLARED ON 4TH SEPT.
is the date is fixed for the result of tta for maharashtra telecom circle? odisha ka tta result kab niklega ??? MP ka kab aayega bhaiya..? 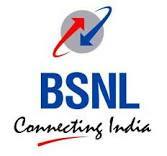 When d BSNL TTA result 2013 for ODISHA is to be declared...?? @ sanjeev thakur marks & category kya hai tumhari??? any contacts to ask about results of Maharashtra?